Marvin and Amy Holstine opened their first market 19 years ago providing a wide variety of locally grown produce specializing in the best sweet corn around! In addition to our famous sweet corn, other produce varieties include tomatoes, cantaloupes, watermelon, peaches, green beans, and more. 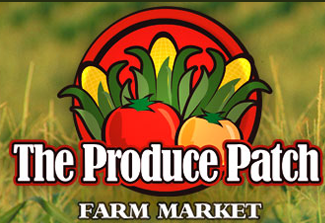 Today, we operate 4 farm markets located in Washington, Loogootee, and Jasper. Each market is stocked daily with fresh produce picked straight from our farm! In addition to growing and selling produce, Amy is now sharing her passion by growing and selling a unique selection of specialty annual plants as well as beautiful, healthy combination hanging baskets and containers. Both annual plants and one-of-a-kind hanging baskets & containers are available for purchase at the Washington and Jasper market locations. We look forward to serving you, both loyal and new customers, this season! One block north of Old Business 50 near the curve by the post office. Intersection of Hwy 50 and Hwy 231 in parking lot of Loogootee Family Restaurant. Hwy 231 just north of Ben Franklin Crafts. In parking lot of old Long John Silvers. Just east of I-69 North.